The Methodist Church celebrated its one hundred and ninety eighth anniversary (198) on June 29. On reflection of the work carried out in the past, one finds that Methodists serve the people at all times. The Wesleyan missionaries who came from England have taught the congregations to be of service to the people in different ways. The Biblical story of the ‘Good Samaritan’ and the words of Jesus, ‘Love your neighbour as yourself rings a bell in the ears of Methodists from time to time. 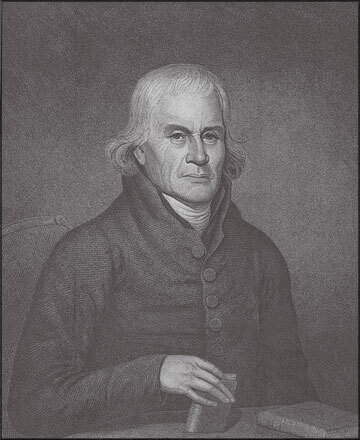 The history of Methodism is full of events which express God's love to us in our land. The Church provided leadership to establish schools. The Methodists contributed well to the emergence of the educated middle class by the end of the 19th Century. They became the educated class of the villages and towns who gave leadership to the different communities. The children who studied in these schools later become politicians and higher officers in the field of Education, Medicine, Engineering, Law, Archaeology and Architecture. The following were products of Methodist schools – Governor General Sir Oliver Goonethileka (Wesley College), Late President Ranasinghe Premadasa (Harvard School Primary Education), Prime Minister W. Dahanayake (Richmond College) and President Mahinda Rajapaksa (Richmond College Primary Education). However, the crowing glory of Methodist education was female education. Methodist schools like Methodist College Colombo, Girls’ High School Vemabadi, Girls’ High School Kandy, Newstead College Negombo, Rippon School and Southland College Galle, revolutionized the status of women in Sri Lankan society and nation. In the second half the 19th Century the Church felt the need to inaugurate children's homes to care for the poor and helpless children and orphans. Children's Homes were then begun. The first was the Ragged Home in Galle, begun in 1867. Through these homes children's food, clothing, shelter and education were looked after. In the 20th Century these homes grew in number. Thousands of children have left these homes praising God for the services they experienced and the employment they found. These homes still continue to help the needy children. From the 1970's one finds a turning point in the services methods of the Church. After the take over schools in 1962 the Church opened free Day Care centres, nurseries and nutrition centres and creches to serve the poorest of the poor children from north to south and East to West. Mid day meal is provided and their education is carried out in these centres. The Church also looks after the children of middle class and rich families in the different montessories spread out in the country. But fees are levied in these institutions. From 1970 the number of girls who came to work in Colombo and other big cities was on the increase. Most them needed comfortable accommodation. In such a context the Church was able to put up hostels to serve them. Moderate charges, friendly atmosphere and good accommodation encourages more girls to seek admission in these hostels. In the last decades of the 20th Century more and more Sri Lankans found employment overseas. These caused grave problems for the elders. Elders could not be accommodated in small houses with small children. In consideration of these matters the Church inaugurated elders’ homes to serve the elderly. So today one finds a number of Elders Home in the city happy and contented in quiet environments. HIV/Aids spread in our country during the last decade of the 20th century. People's lives were lost due to this contagious disease. Victims of this dreadful disease were condemned by society. Except the government which treated them, others did not seem to take steps to lift these patients out of their miserable condition. In such a context the Church felt its responsibility to educate the people and prevent transmission of this disease. Several workshops were held to educate young people on the dangers of this disease. It also took steps to comfort those already infested with HIV. Patients at the Angoda Hospital were provided with vital and necessary assistance. The Justice and Peace desk of the Church had taken steps to enhance awareness, knowledge and involvement of congregations on social issues. A number of clinics were held in different areas to help socially marginalized people. Integrated community empowerment programmes helped the plantation sector children to keep pace with other children. The devastation caused by the Tsunami made Methodists help the afflicted in different ways. Emergency relief, relief and rehabilitation, reconstruction, counselling services, education, supply of water, electricity and health services, vocational training programmes and general assistance to the needy are the services the Church's provided to the afflicted. The Church continues to serve the people daily. The Catholic community at Maha Galgamuwa will celebrate the Feast of St. Anthony of Padua for the 144th year on July 15 with the support and cooperation of the lovers of the Saint, living in and out of Galgamuwa. Bishop of Kurunegala Rt. Rev. Dr. Harold Anthony Perera will preside at the Concelebrated Festive High Mass. St. Anthony was born to a family of very high social strata and wealth at Lisbon in Portugal in 1195 as Ferdinand. He gave up all comfort and wealth for the sake of God. At the age of 15 against the wishes of the family, kith and kin, he entered the Ashram of St. Vincent, which was the House of the Religious Order; St. Augustine had headed as its pioneer. When his parents tried to move him out of the Ashram, Ferdinand with the approval of his Religious Superiors went over to the religious house at Coimbra. He was ordained a Priest of God at the age of 25 and leaving the St. Augustine Order, joined the Franciscan Order went over to Morocco in Africa as a Missionary to work, where the threats to life was the order of the day. Joining that Religious Order he took the name Anthony and that was how the Saint came to be known as ‘Anthony of Padua’. Rev. Fr. Newman Muthuthambi OMI, the Parish Priest of the Galgamuwa Mission said that the Catholic community attached to the Galgamuwa Parish has decided to hold the feast day celebration in the new Church building now in the process of being completed. The Old Church building coming from the year 1864 was demolished and the construction work of the new church building had commenced in the same premises a few months ago. Fr. Muthuthambi added that the workers were busy in completing the work of the roof and the balance work would continue immediately after the celebration of the church feast and the confirmation ceremony scheduled for the same day. Although the Catholic history of the area goes back to the times of the King Sankili and the Portuguese period, Christian community proper had begun to take firm roots in the soil, during the times of the Blessed Joseph Vaz, the Apostle of Sri Lanka. The present generation living in close proximity to the church premises is said to be the descendants of the Mukkuwar community that entered into the thick forest area at Galgamuwa during the times of the Sinhala Kings of the Kandyan Kingdom. The conversion to Christianity in large numbers had created uneasiness in the mind of the Provincial King Pararajasekekaram alias Sankili (1519-1561). He viewed and feared that the converts to Catholic religion would show their allegiance to the King of Portugal and hence he released violence and massacred the Christians (1554). Those manage to escape the escalating violence leased with the support of the King, rang for safety to the areas of freedom under the Sinhalese Kings. They refused to give up the Catholic religion and some 600 odd numbers among the new converts sacrificed their lives for the faith they embraced. They were subsequently joined by other Catholics who were persecuted by the Dutch administration (1658- 1796) and their descendants continue to live in the thicket to this day. According to the available records the land for the church building was first purchased in 1868 by Fr Francis Xavier (not the Saint) and another piece of land on April 20, 1884 by Fr. Henry Dino OMI. The money for that land had been paid by Mgr. Andre Melison, the Bishop of Jaffna. Fr. Muthuthambi said that the Mission needs at least another ten million to complete the work and he solicits the generous support of the devotees and lovers of the Saint living in the Kurunegala district and country at large. The Church dedicated to St. Anthony at Maha Galgamuwa facing the Maha Galgamuwa weva or the Yakabendi weva is five kilo meters from the Galgamuwa Central Bus Stand and the Railway Station. It is very strange that no public transport facility is available for the people living there. Parliament for Galgamuwa H M A Lokubanda. There is also a Tamil School very close to the Church and mode of transport for many children is their private vehicles like push bikes and motor-bikes. Others have to come walking in the hot sun or rainy weather. The community pleads to the authorities concern to take steps to provide public transport under the Gami-Seriya project at least on Tuesdays and Wednesdays to begin with, on a trial basis commencing from the days of the feast. Galgamuwa forms a part of the Madadombe in the Kurunegala district within the Wanni Wana meda 45 West Korale cutting through Wariyapola within the 40 and 41 mile posts, along the Kurunegala- Anuradhapura route. Rev Father Prasanna Rohan and his unique contribution are being recollected with nostalgia at Sapugaskanda, Makola, Mabima and Siyambalape missions after his annual transfer to Enderamulla church. During 5-year- service period without assistance the priest completed his duty successfully, with the help of God. Therefore the above parishes arranged several thanksgiving celebrations. The ability and organizing strength granted from God has to be praised. Grant him more and more blessings O’ God. Genesis: 15:3-6: Abraham believed in God and God considered it ‘righteousness'. First time faith in God's word is considered as righteousness in the Word of God. Righteousness means: Being in the right relationship with God and His will. GENESIS 6:9 - Noah was just and perfect. He kept himself separate from the moral and evil of society. He feared God and trusted in His word, even though the popular, public opinion differed from God's word. 1. The call to separate himself from his people and country (Genesis 12:1) and go forth not knowing where he was going. Hebrews 11:8. 2. Long delay in the fulfilment of God’s promise - Although God promised to bless him with a son - there was a long delay, Sarah had even passed the time of bearing - God's promise usually comes with the test of delay which is to try our trust and patience in Him. Long suffering (patience) one of the segments of the fruit of the Holy Spirit which is essential for our spiritual walk with Him. 3. To offer up Isaac, his son of promise as a sacrifice (Genesis 22). In this case God was testing Abraham to see if his trust was still in God or had he diverted it to Isaac, the fulfilment of the promise. This I find is easily done by humans - we cry to God for a blessing, and once God blesses us, we forget God, and transfer all our attention on the blessing. God's blessings to us must not overtake our love and attention to God - our focus must always be on God, the first place should always be given to Him. Exodus 17: 8-13: Holding up of hands by Moses indicated faith in God to conquer the Amalekites. The moment his hands were let down, the Amalekites got the better of the Israelite army, and this was a sign that Moses’ faith was faltering. Here we find that God required a continuous posture of trust, dependency and faith in Him. Gods expected this of Moses. This continues to operate in the New Covenant period too. God expects us to pray daily for our divine protection from Him. If our walk with Him dwindles, then His blessings and grace too will be with-held. Our victory lies in the approach to the Throne of Grace daily. This is so important to our Life of Faith in Him; we just cannot afford to neglect our devotional time with Him. Joshua 3: 9-17: As the feet of the priests touched the River Jordan, the river piled up as walls, allowing the Israelites to pass through. God performs a miracle to show the Israelites His power against the tribes of Canaan that are to be destroyed (Satan's power cannot prevail against God's - God's will has to take place, although God's people are harassed by Satan as he brings about circumstantial evidences to doubt in God and His perfect will. Secondly, in this instance, God wanted the Israelites to accept Joshua as their leader, and this miracle is performed by God similar to the Red Sea miracle under Moses’ leadership, to confirm to the Israelites that Joshua was God's choice to lead His people. Judges 7:9-23: Gideon feared to do the will of God. With God's help and strength Gideon was able to fulfill his mission. We find that believers too falter in their faith due to fear and lack of confidence in themselves. At times like these, we need God's help and encouragement and He is willing to meet this need. One should pray diligently that God will inspire us through the Holy Spirit and the Word of God and increase our faith, hope and courage as He encouraged Gideon. Faith comes by hearing and hearing the inspired Word of God. So we learn from this passage that our weaknesses such as fear and lack of faith or doubt in God's word has to be arrested by crying out to God in prayer and spending time with His word. The enemy has various forms of attacks - he torments our minds - but one must learn to pray for protection and guidance of God to fulfill His will in our lives. We must put on the armour of God’ and cover ourselves with prayer as we are advised to do in Ephesians 6:10. Finally, my brethren, be strong in the Lord, and in the power of his might. Put on the whole armour of God that ye may be able to stand against the wiles of the devil. Samuel 17; 38: This passage shows us that David could not get used to the worldly methods of protection. He did not depend on the sword, shield, spear, helmet or the armour provided by King Saul; instead he met Goliathwith God’s strength and totally depended on the name of God and the power it carried. Today, we are fortunate to have the armour of God clearly explained in the Bible so that we can pray and protect ourselves from the darts of the devil. Above all taking the shield of faith wherewith ye shall be able to quench all the fiery darts of the wicked. As we read this passage we find that every armour of God points to the Life of Christ in us, and we are privileged to have Jesus our Emmanuel with us for protection and guidance in our Life of Faith in God. Our Heavenly Father - we see your power and guidance throughout the Bible towards our people in preserving their love and walk with you. We pray that your loving hands will guide the people of our country too in knowing you and understanding your ways. Holy Spirit, we cry unto you to take over our lives in building up faith and being ready for your second coming. The Bible teaches us that it is impossible to please you without faith. We pray that our faith in you increases, give us a greater measure of the presence of the Holy Spirit to bestow faith in our lives. Teach us to love you and honour you and put you first in our lives and be willing to do your will. We pray this prayer in Jesus precious name.